Classic, fresh-cut red roses with accents of eucalyptus and other fresh foliage are featured in this beautifully-traditional spray. 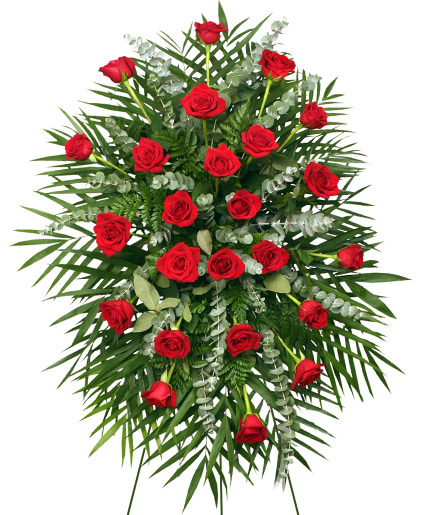 Let PETALS FLORAL DESIGN & GIFTS deliver a lovely floral expression of sympathy and reverence for you. 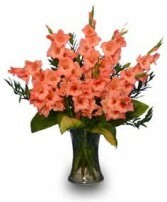 Flared Glass Vase, Foliage: Italian Ruscus, Myrtle, Hosta Leaves, Orange Gladiolus.